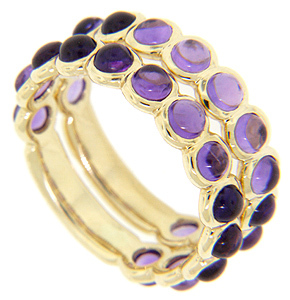 Cabochon purple amethysts are set three quarters of the way around these 14K yellow gold stackable wedding bands. 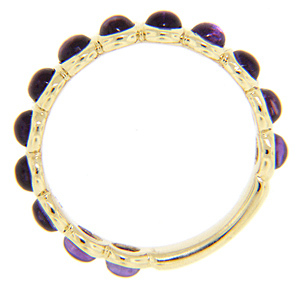 The rings' scalloped edges mirror the curve of the set stones. Each band measures 4.1mm in width. Size: 6. We can resize. The bands are frequently purchased as a set for $620.00 but they are also available individually.